Our flagship residential care facility in the Dominican Republic, the Ark has been caring for children since 1987. During the past three decades, we have built homes where orphaned or abandoned children live in “families” with dedicated house parents. It is a privilege to give them a safe, loving place to live after they have been through difficult or painful circumstances. To meet the physical, spiritual, and emotional needs of each child, the campus includes six homes, a chapel, and outdoor recreation spaces. These children also receive a quality education, and several of our graduates are studying in university. Our goal is to see our graduates having an impact for Christ in their communities, as they live out what they learn during their years at Kids Alive. 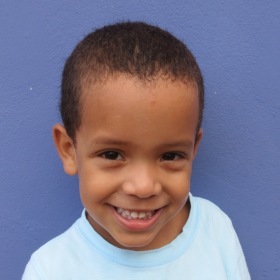 Support the Ministry of Ark Jarabacoa Children's Home with Your Gift Today.